As a Carlsbad, CA, resident, living close to the coast is enjoyable for you. It’s time to take this level of contentment inside your home—and the team at Mauzy Heating, Air & Solar can help. With the combination of our superior air conditioning, heating and solar services and our certified technicians’ industry expertise, you can be sure that, with us on your side, you will coast your way toward a more comfortable home. Choosing the right heating and cooling system for your home is crucial. This means finding a system that’s capable of keeping you cozy without overworking or short cycling. From a heating system replacement to an air conditioning unit installation in Carlsbad, CA, you can count on Mauzy’s team to complete the task properly— the first time around. Understanding the difference between durable and indestructible is important. You see, even the most durable HVAC system still runs the risk of a repair. But when you encounter the need for an AC or heating repair in Carlsbad, CA, don’t panic. Mauzy’s team is just a call away. If a small unit problem is ignored, it can quickly escalate to a more costly catastrophe. So, from a minor system hiccup to a major repair, it’s important that you restore your system’s wellbeing right away. This will lengthen your system’s lifespan, eliminate high energy bills and protect your budget from a catastrophe. It’s a proven fact that the more TLC your heater or air conditioner receives the more confident you will be in its performance. That’s because maintaining your unit’s wellbeing will minimize the potential for costly repairs and allow for it to run more dependably. This not only saves you money, but it increases your system’s energy efficiency and extends your unit’s lifespan, too. So from seasonal system maintenance to frequent unit checkups, there’s no team that will clean, inspect and replace your system’s parts like Mauzy’s team. What are you waiting for? A more efficient system is just a call away. If you’re looking to save some serious cash, then look no further. Mauzy has a solution for you. 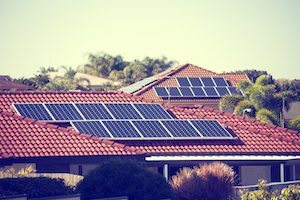 Our solar energy systems and residential solar panel installations eliminate your home’s reliance on your community’s expensive electricity company by turning to the sun. Though going green is an investment and a complete lifestyle change, it has an array of environmental and budgetary benefits. So, if you would like to see whether solar energy is right for you, feel free to contact our solar contractors today! It’s time for you to attain the comfort you crave at the more affordable price you deserve—and the team at Mauzy can do just that. Our HVAC technicians have the hands-on experience and industry expertise to install, replace, repair and service all makes and models of air conditioners and heaters. And, best of all, from air conditioner maintenance to heating repairs in Carlsbad, CA, we offer clear, upfront pricing on all of our HVAC services. With us, there are no surprises later on. Mauzy’s comfort specialists make it easier for you to achieve a more comfortable home at a more budget-friendly price. For more information on how our heating, air conditioning and solar energy services can be beneficial for your Carlsbad home, fill out our online form or call our team at 858.900.3909 today!